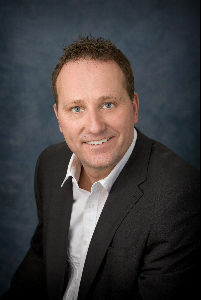 Courtesy of Linda Kennedy of RE/MAX Excellence. 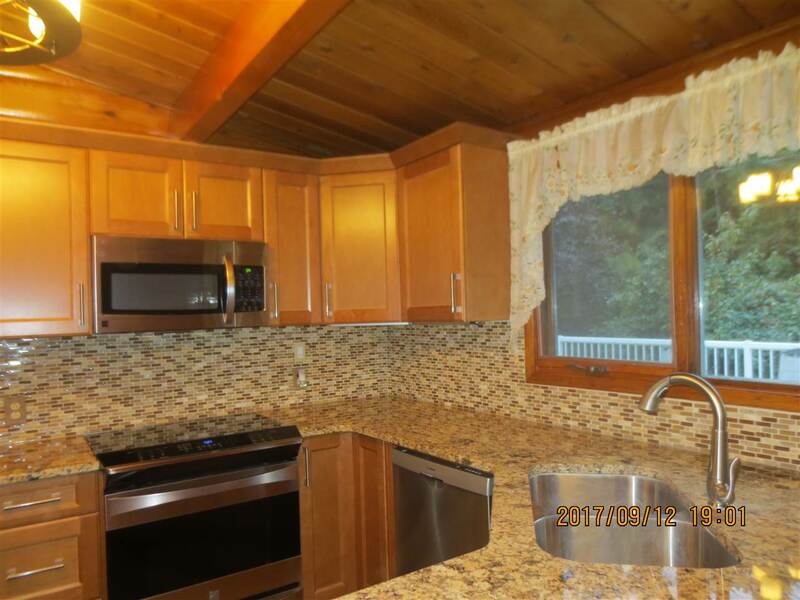 Below Appraised Value! 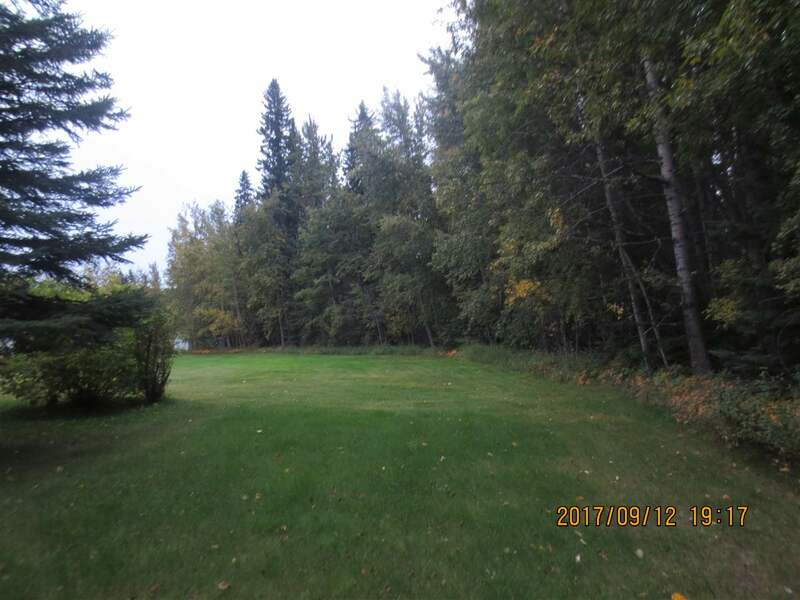 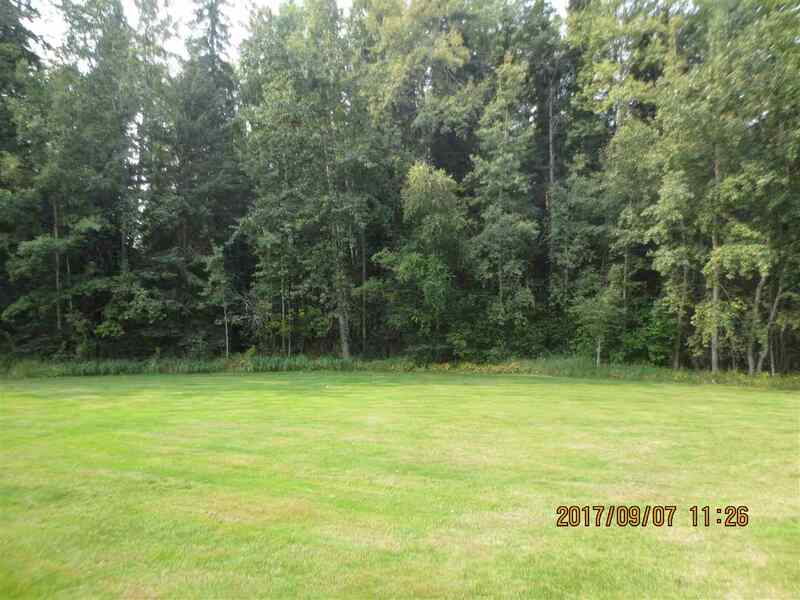 21.28 Acres in The Town of Edson! 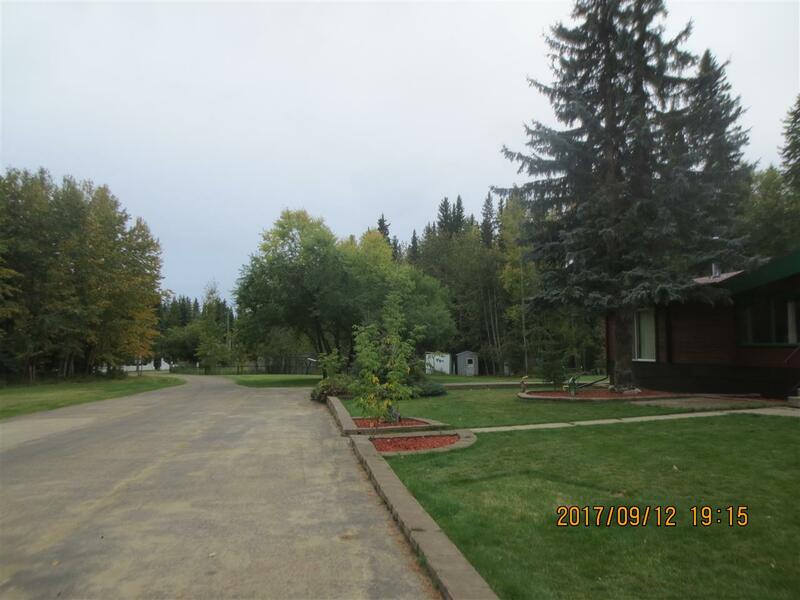 Country living, with Town Convenience! 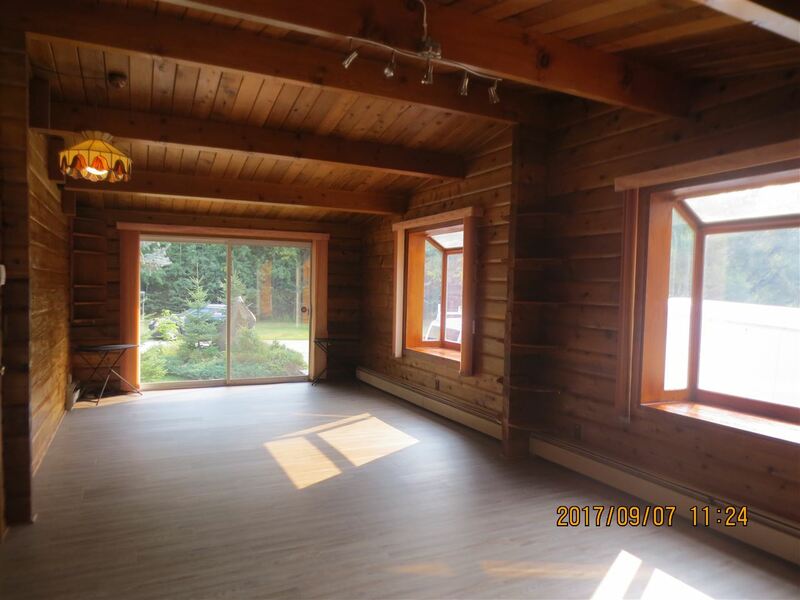 Beautiful 1840 sq. 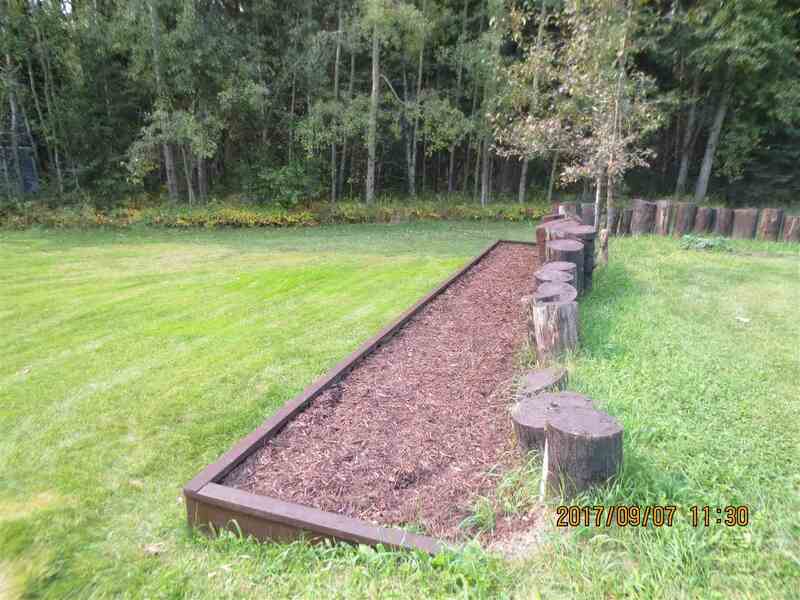 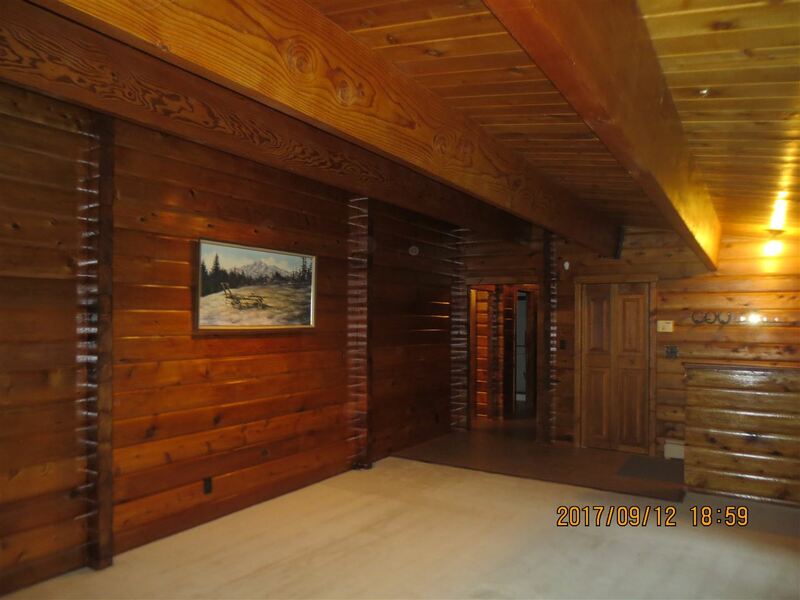 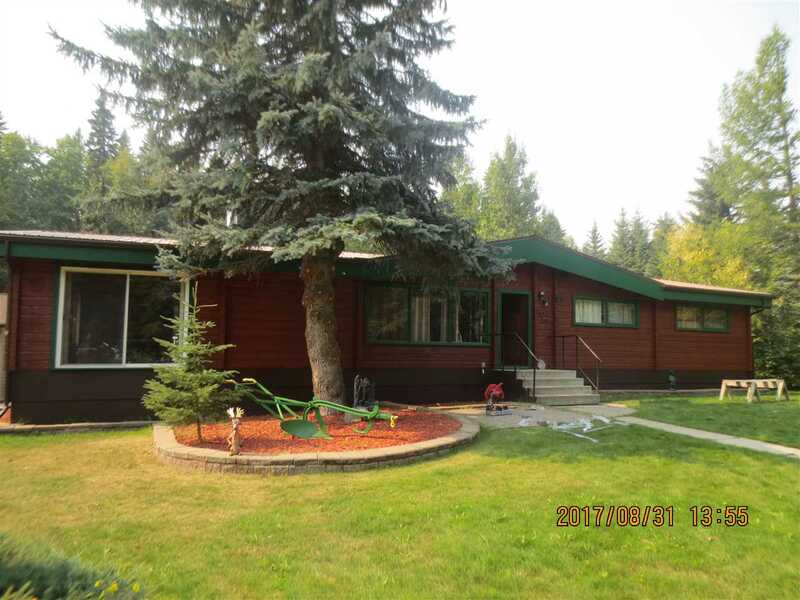 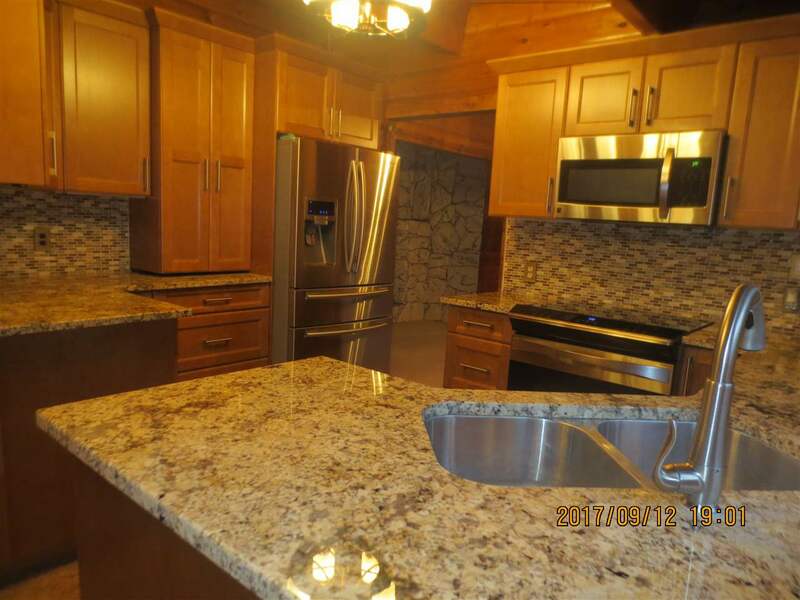 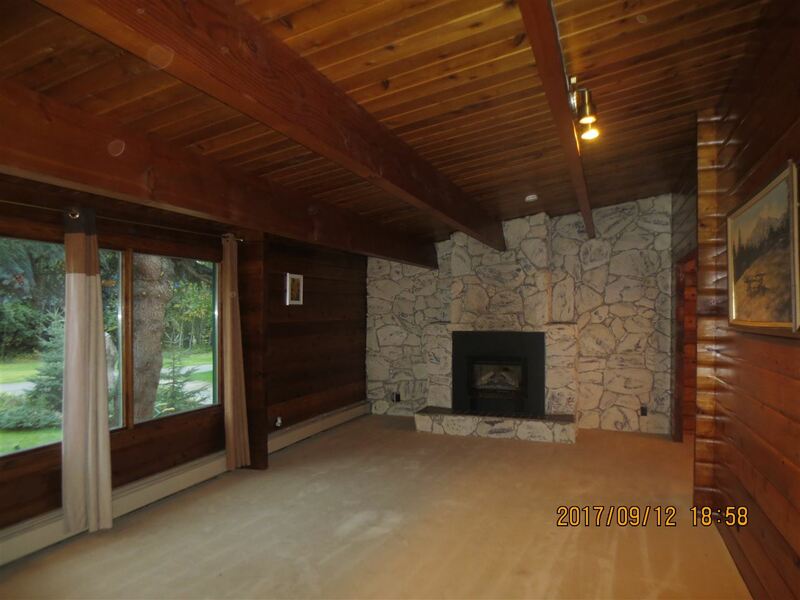 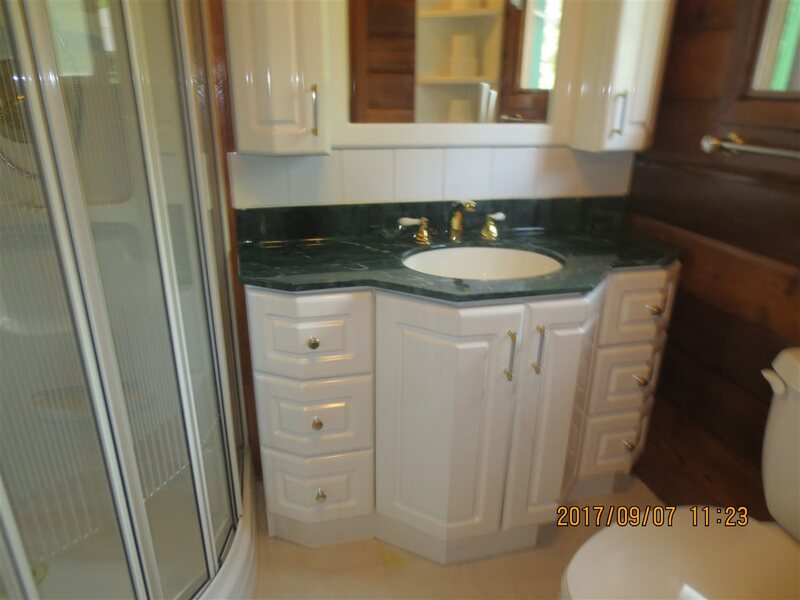 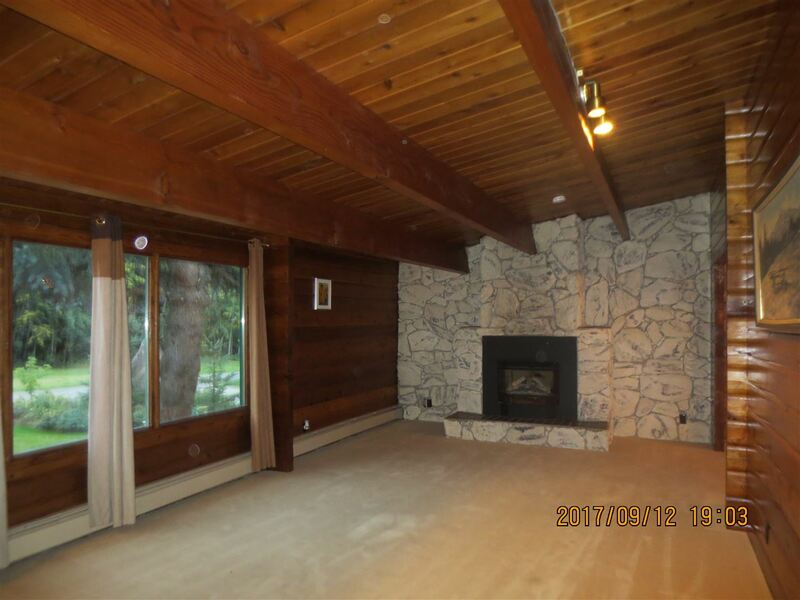 ft. Cedar log home on a very private acreage in Town Limits. 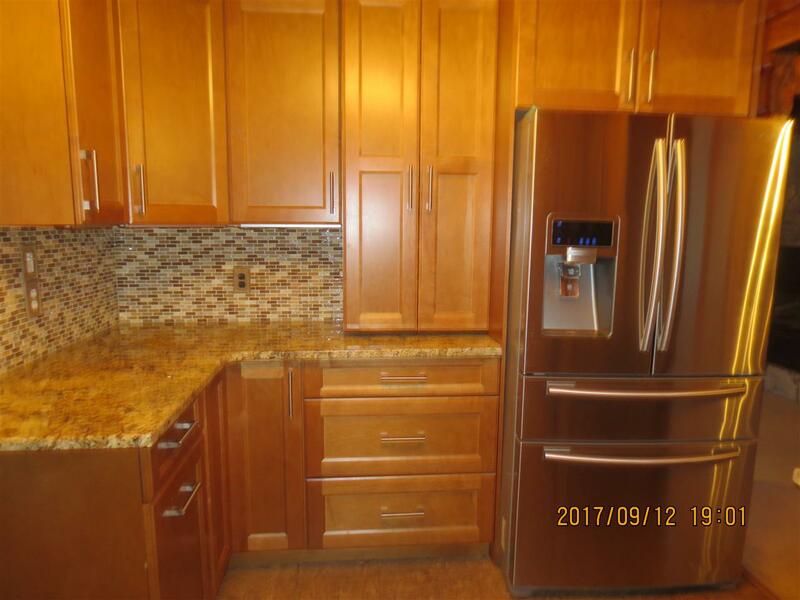 Home features: 5 bedrooms, 3 bathrooms, living room with stone fireplace, lg family room, new kitchen with granite countertops, beautiful tile backsplash, new stainless steel appliances, upstairs laundry w/sink, & large windows. 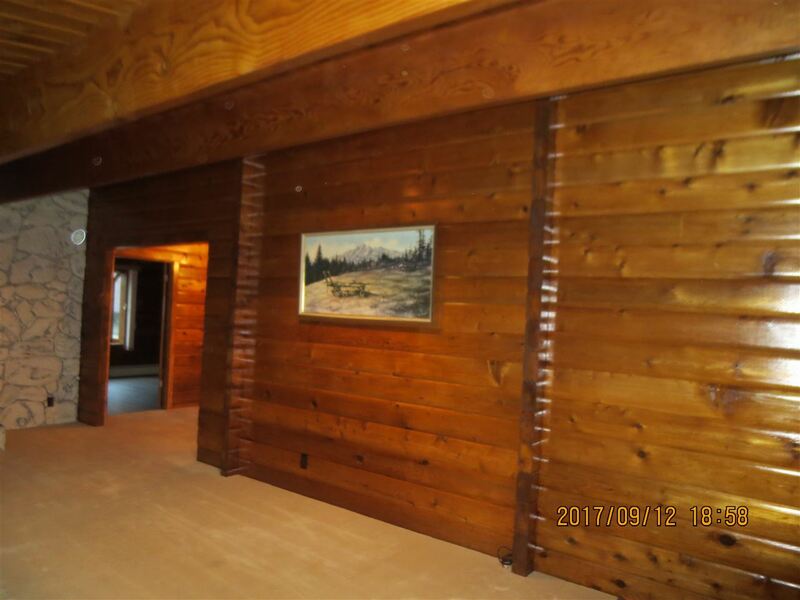 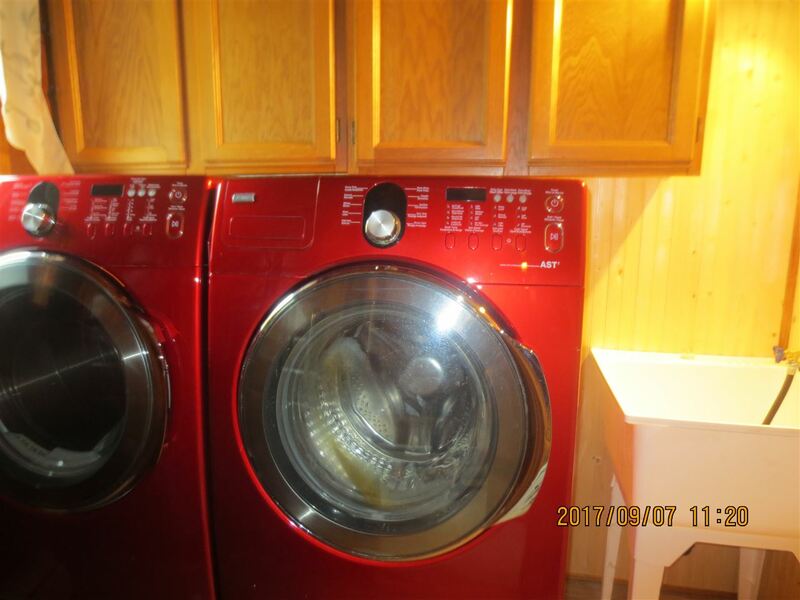 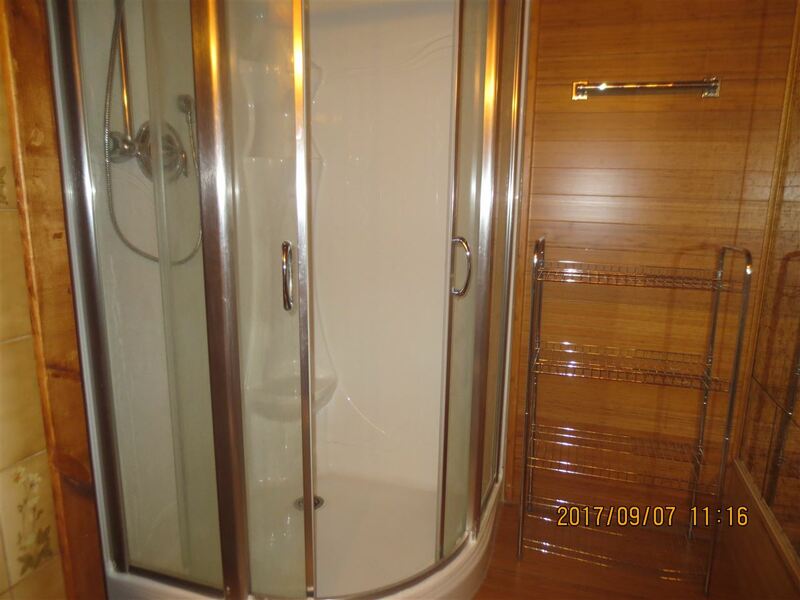 Basement includes 2 lg bedrooms, office, rec room, utility, storage, 3 pc bathroom & a huge wood stove. 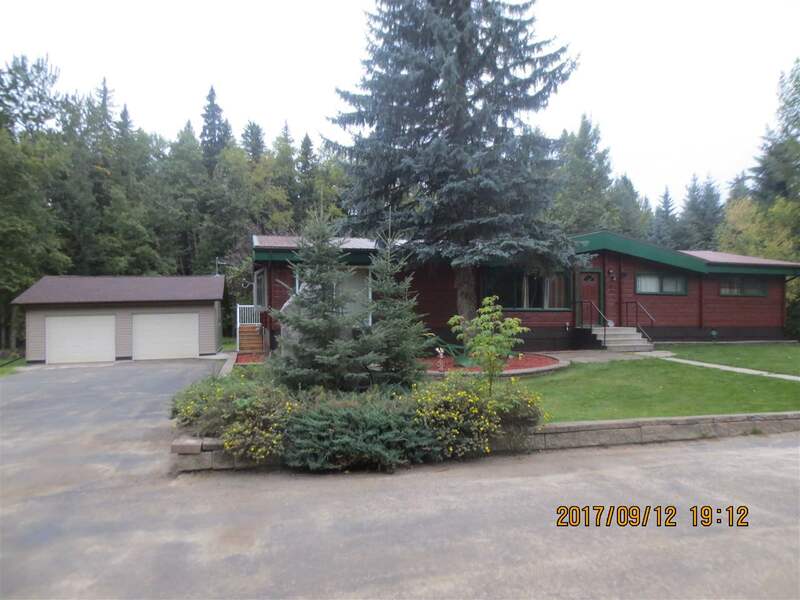 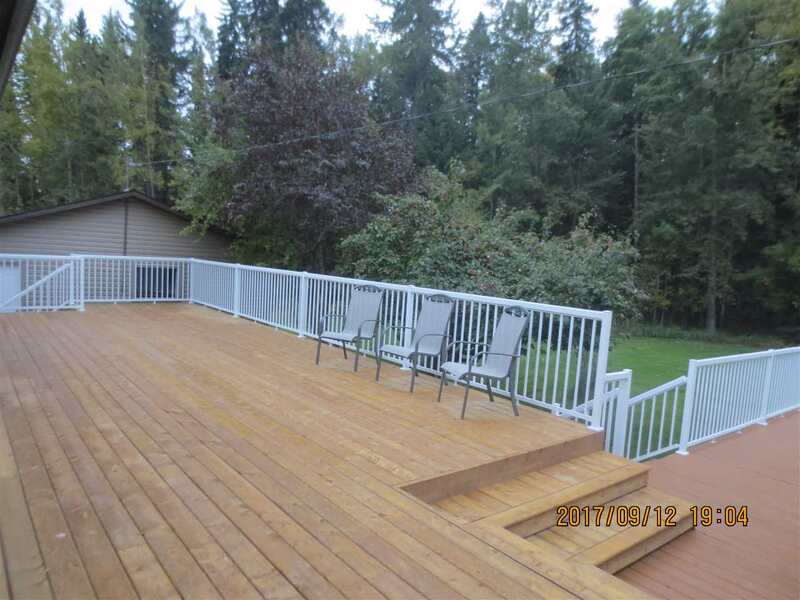 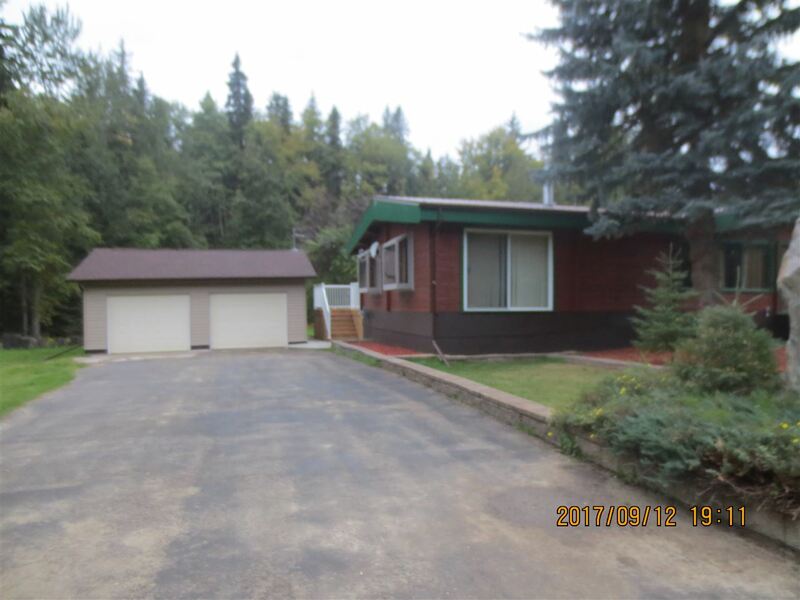 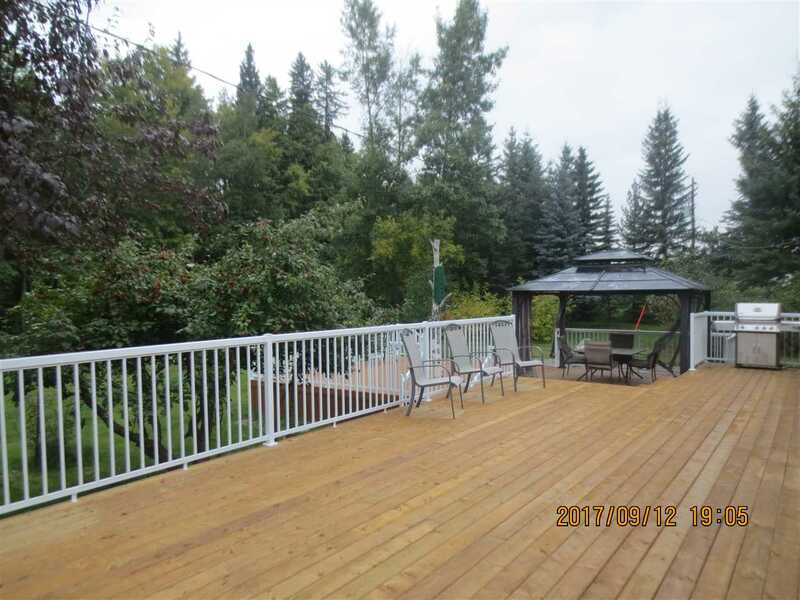 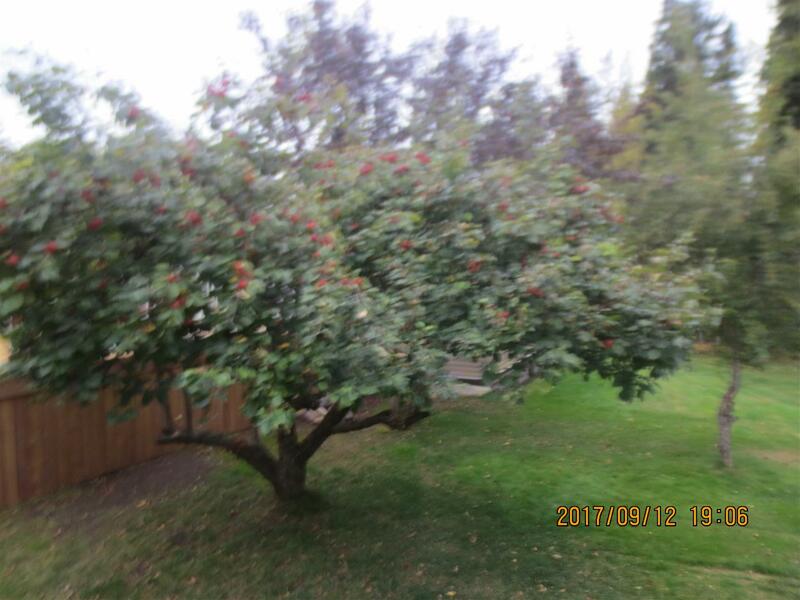 Quiet area, with a fully landscaped yard with mature trees, shrubs, garden area, flowerbeds, huge 2-tiered deck overlooking the b/yard, patio area, dbl/det garage with new siding & roof, cement floor & 220 wiring, 1148 sq. 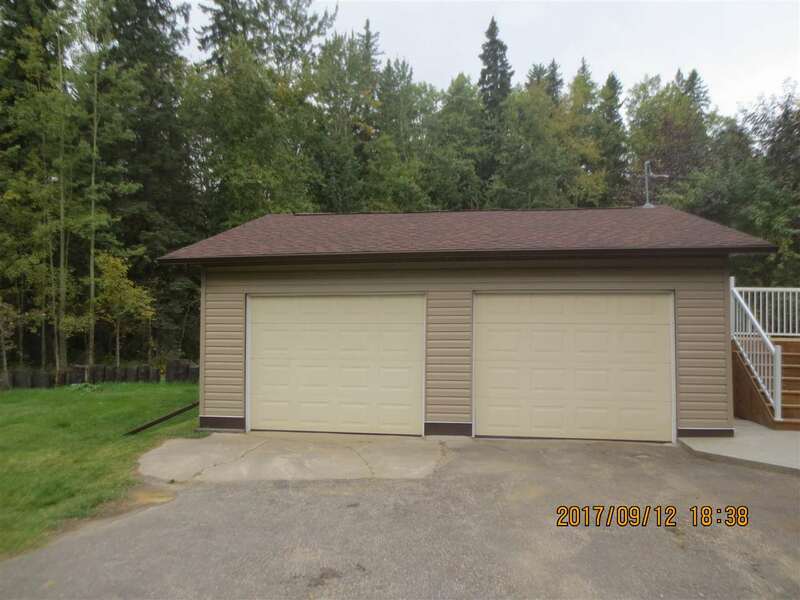 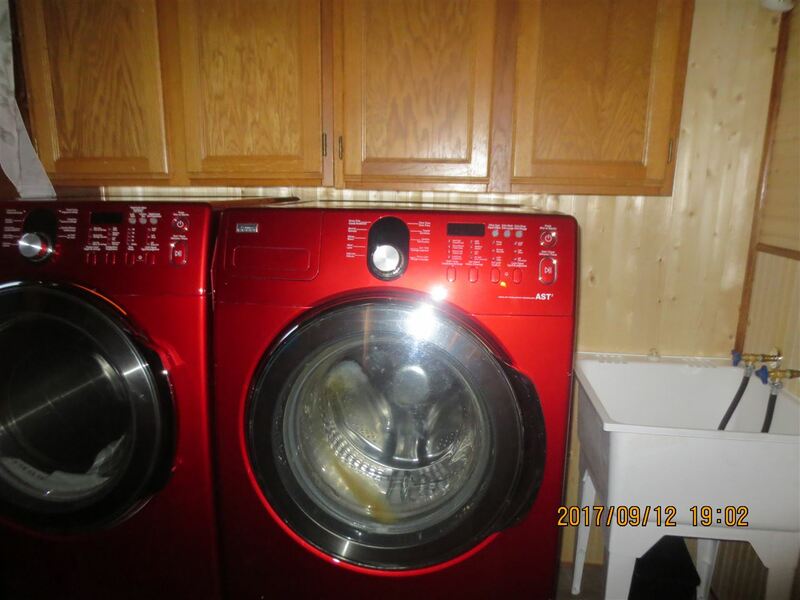 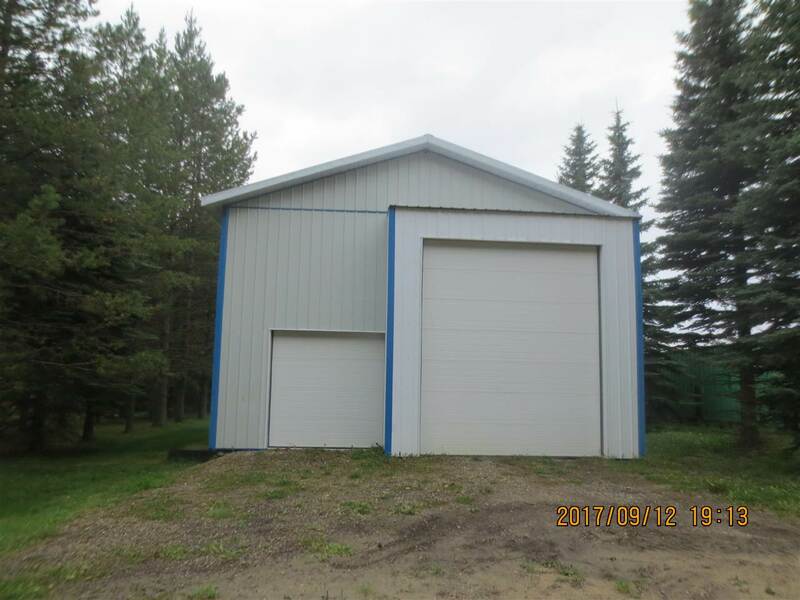 ft. Shop with dbl doors, cement floors, 220 wiring, fenced area & animal shelters & a paved driveway. 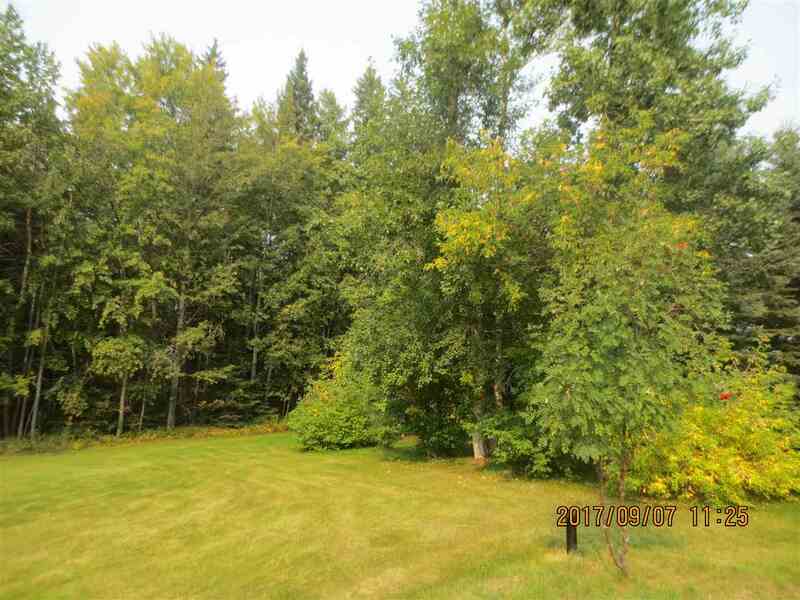 Land is mostly bush with lg mature poplar, spruce, & pine trees. 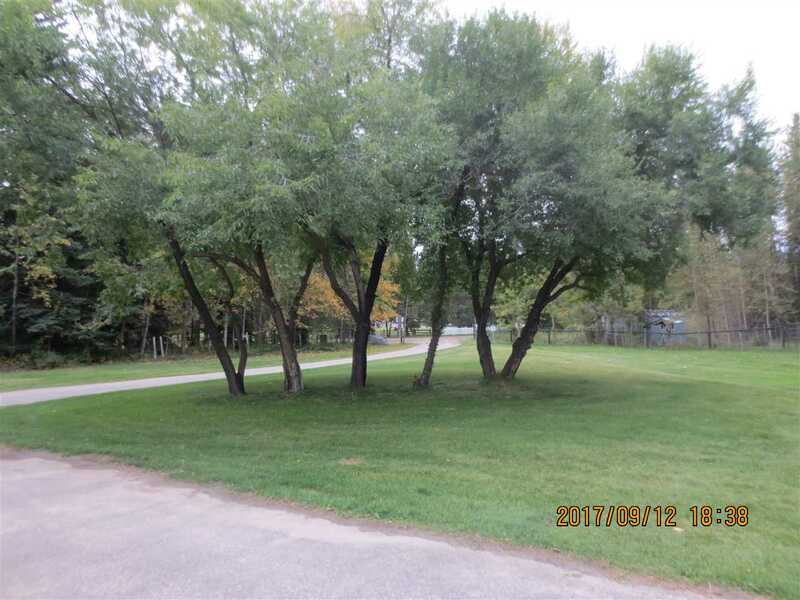 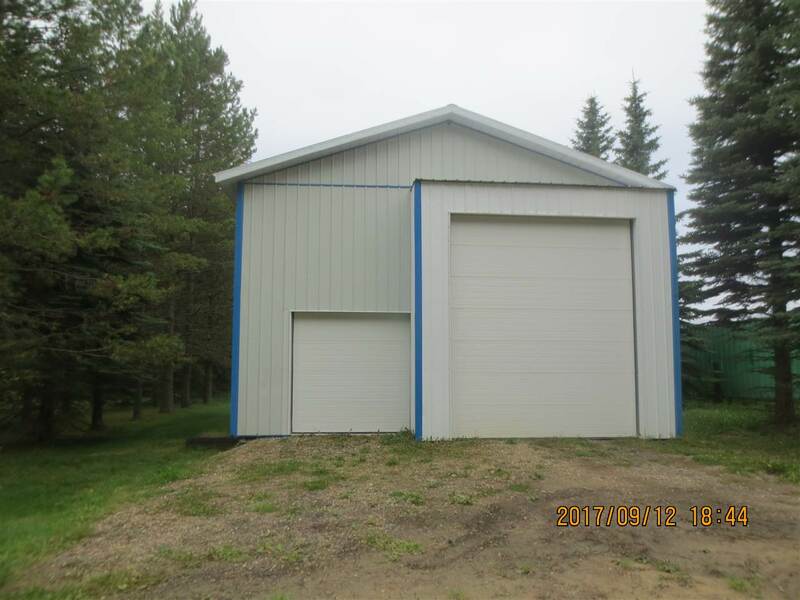 This property is designed for private acreage living with the option to run your own business with endless possibilities. 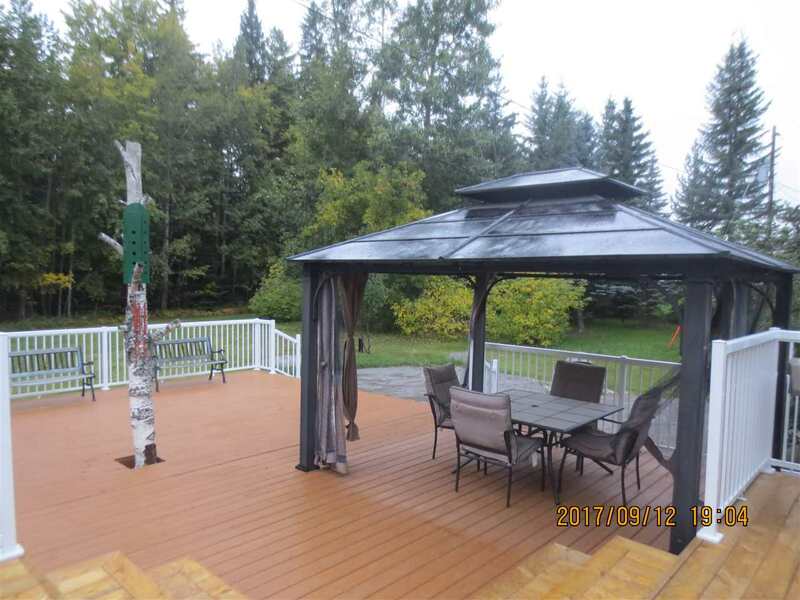 This property is listed by Linda Kennedy of RE/MAX Excellence and provided here courtesy of Andy Verhagen. 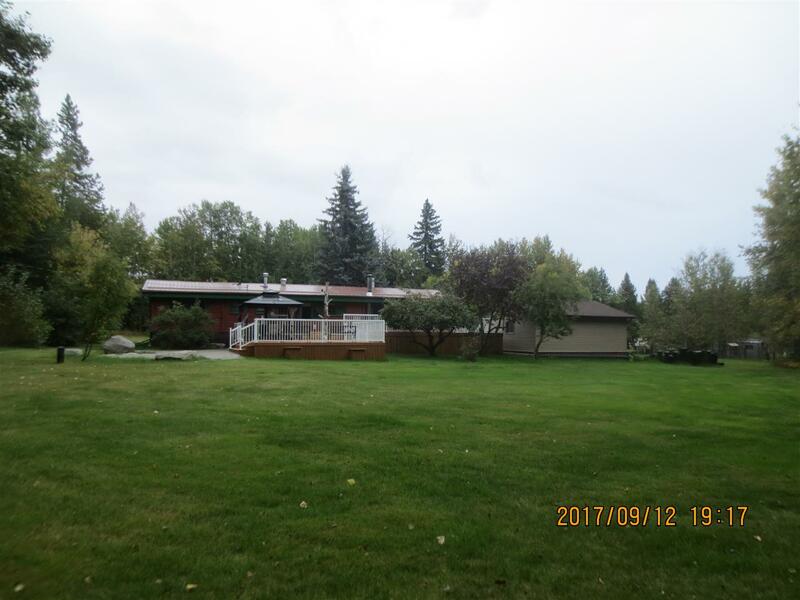 For more information or to schedule a viewing please contact Andy Verhagen.